The perfect travel destination for anyone looking to get away from it all in beautiful surroundings, this luxury resort and spa is located on a working coffee plantation about two hours’ drive from Jogjakarta or Solo Airport, and one and a half hour’s drive from Semarang Airport on the island of Java in Indonesia. Surrounded by stunning mountainous scenery, lush, tropical gardens and cooling highland air, this place is a paradise in which switching off from everyday life is a piece of cake. Spanning twenty-two hectares, MesaStila comprises twenty-three villas built in the authentic architectural style of the traditional Javanese Dutch colonial era from early 1900, an award-winning Hammam Spa, a coffee plantation producing up to seven tons of coffee a year and beautiful tropical gardens. 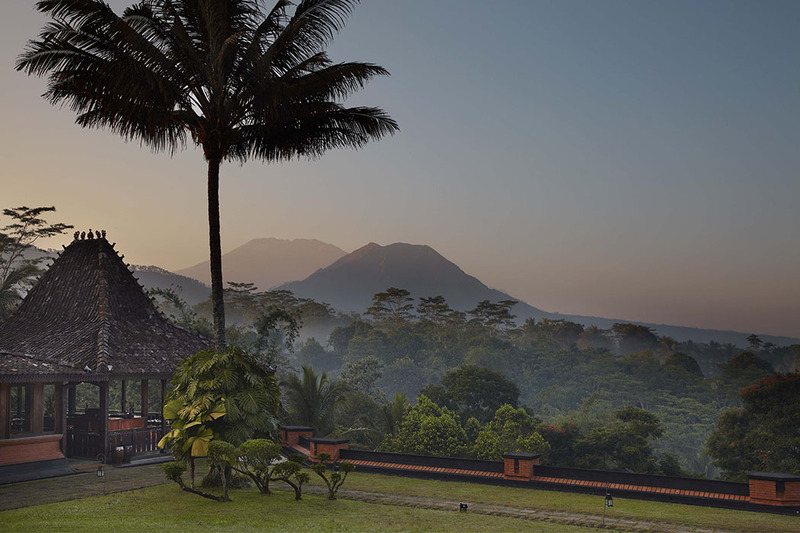 The mountain views are spectacular, and there is a wide range of wellness activities and spa treatments to choose from, as well as excursions into central Java to experience a real taste of Indonesian culture. Each of the twenty-three villas is unique in décor, and each is lovingly furnished in a way that celebrates local style while providing every luxurious touch a discerning guest could wish for. 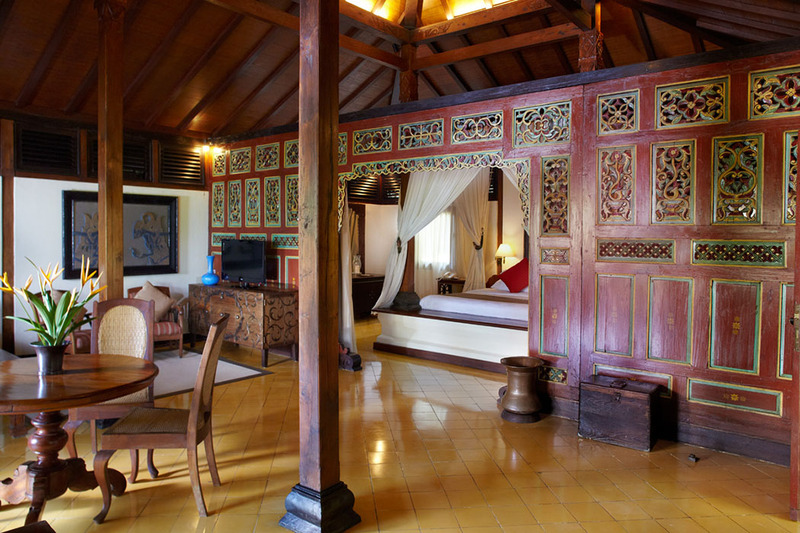 An impressive collection of antiques goes a long way toward creating the very special character of this resort, and each villa has been built to resemble a traditional Javanese antique Limasan, Joglo or Kudus wooden house. All villas have modern bathrooms, large living areas and verandas overlooking the mountains or plantation. Bathrobes, slippers and tea and coffee making facilities are provided. Accommodation ranges from one bedroom villas – ideal for romantic getaways – to small family villas and the presidential suite (Bella Vista Villa) which can accommodate larger groups and has its own private pool and butler service. Villa Tips – The Arum Villas are the more spacious of the various one-bedroom offerings, while the Ambar family villa with the single room is probably best suited to families with very young children. Make sure you ask for a villa with a mountain view! Traditional Javanese cuisine prepared from the freshest local organic produce is the order of the day here. Guests can enjoy food harvested from the hotel gardens that very day! The kitchen staff are committed to providing delicious food prepared in the healthiest way possible, right down to producing prawn crackers by cooking them in the volcanic sand! With this theme in mind, you will find an array of fresh juices and non-alcoholic beverages on offer at the restaurant and the Plantation Lounge, including Jamu herbal drinks, though wine and beer are also available. The large and very beautiful pool with its stunning mountain views could be all you need to help you relax and unwind, but the truth is the spa here is not to be missed! Featuring the only authentic Hammam Spa in South East Asia, it also offers massages, reflexology, body scrubs and wraps – some of which harness the powerful anti-oxidant properties of the locally grown coffee bean. 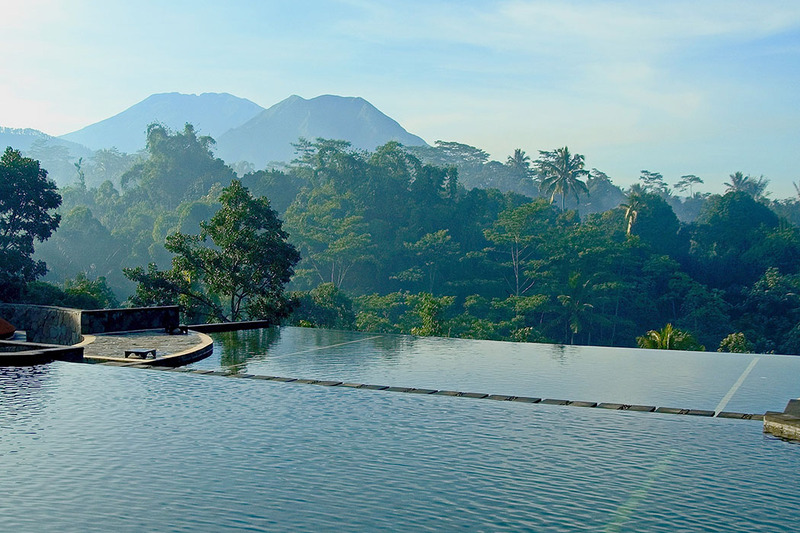 Fitness classes such as Aqua-Fit and Yoga are also available, along with a jungle gym, while if you want to explore outside the resort there are cycling and trekking options and along with a number of excursions through which you can discover different aspects of Indonesian culture including trips to the local rice farms. MesaStila is a family-friendly resort, but parents are asked to supervise their children around the public areas in the interests of preserving the peaceful environment for all guests. If you want to stay in an exquisitely decorated villa with spectacular views and indulge in some amazing spa treatments, you should definitely think about booking into MesaStila! 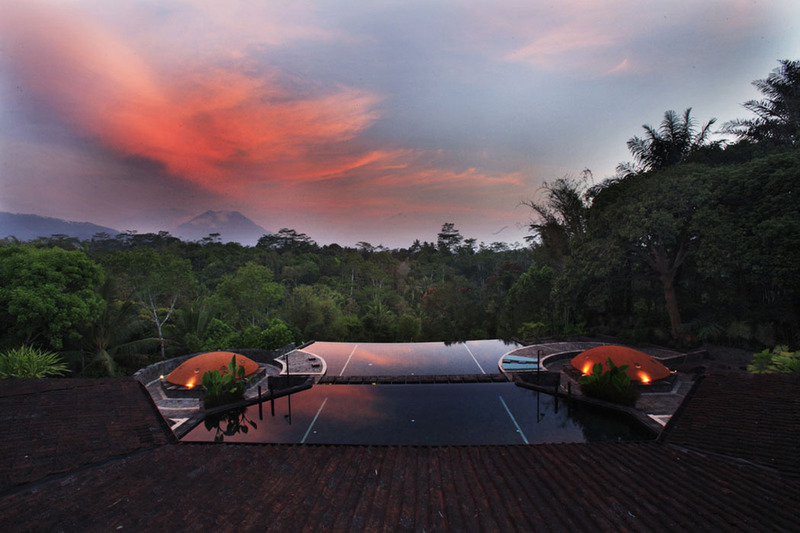 MesaStila Resort and Spa features in our best luxury hotels in Central Java, Indonesia.